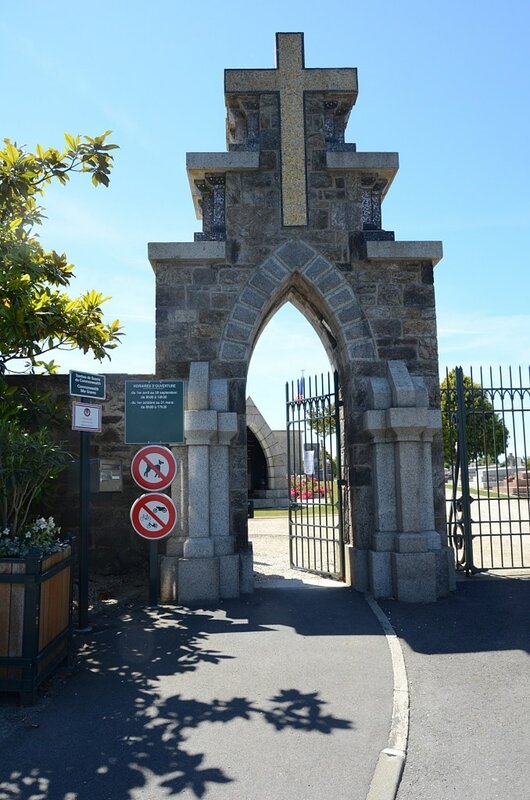 Dinard is 10 kilometres south-west of St Malo. 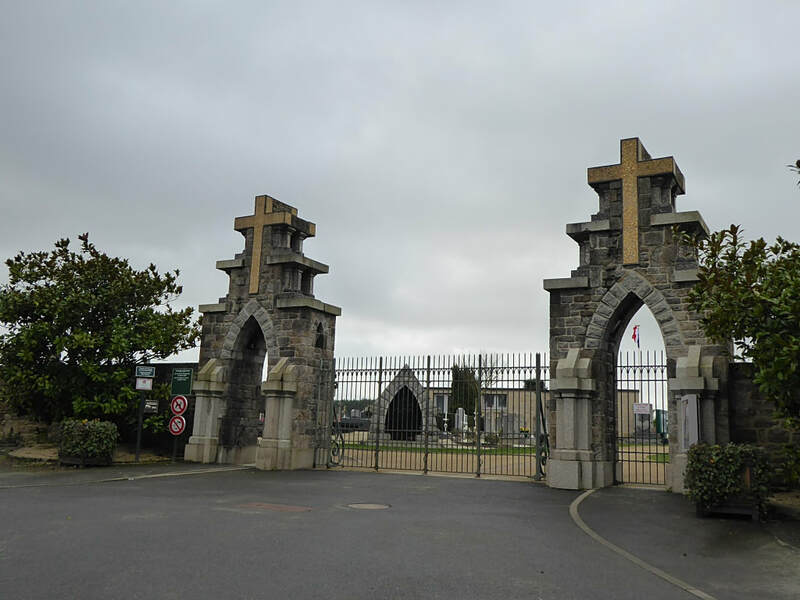 Coming from Avranches follow the road to St Malo E401 and on D168 in the direction of “Dinard”. 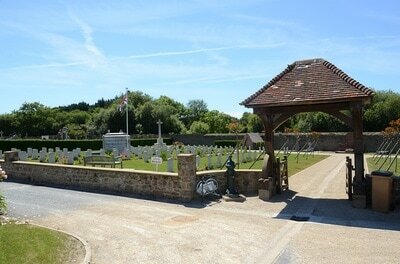 Continue on the road “route du barrage”. Take the D266 ramp to Dinard, At the roundabout, take the 1st exit onto Bd de la Libération/D266, Go through 1 roundabout, Slight left onto Rue du Douet Fourche/D66, Turn left onto Esplanade du Souvenir Français. 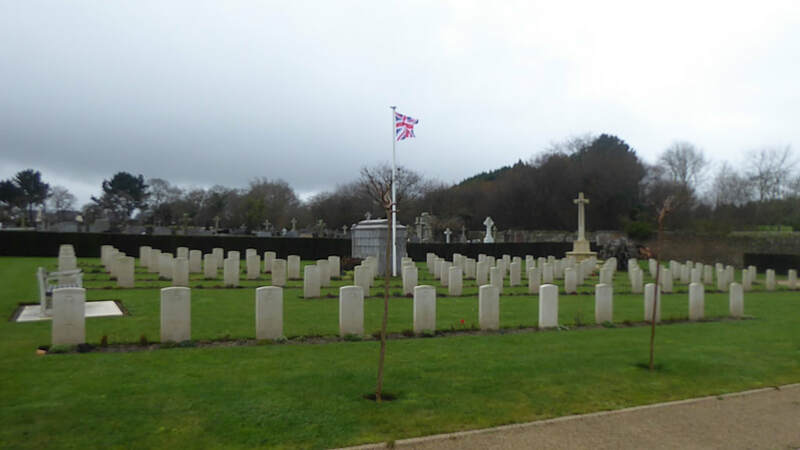 Take the left hand fork up a tiny slope and continue for 100 metres when the entrance to Dinard New Communal Cemetery will be found. 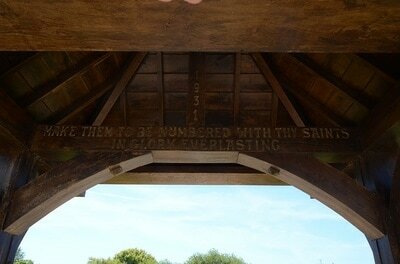 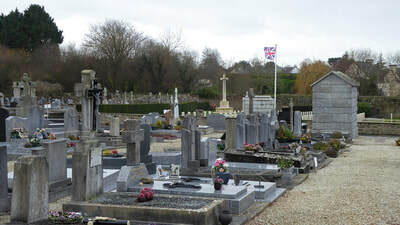 The English cemetery is a complete section (No. 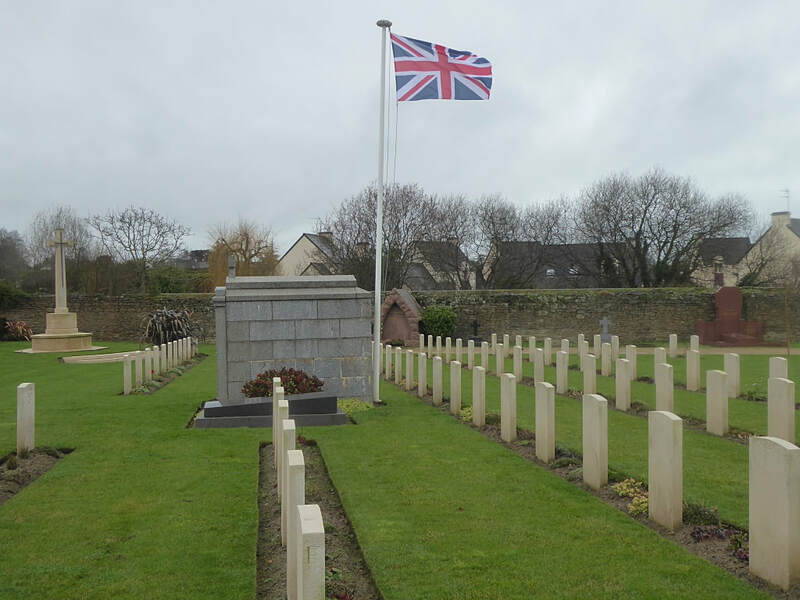 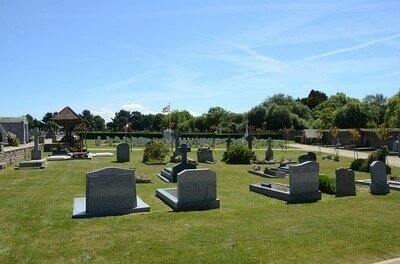 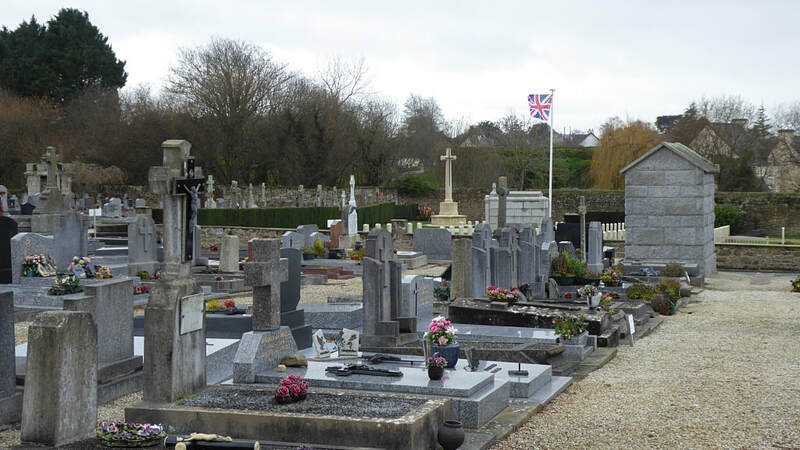 17) of Dinard New Communal Cemetery. 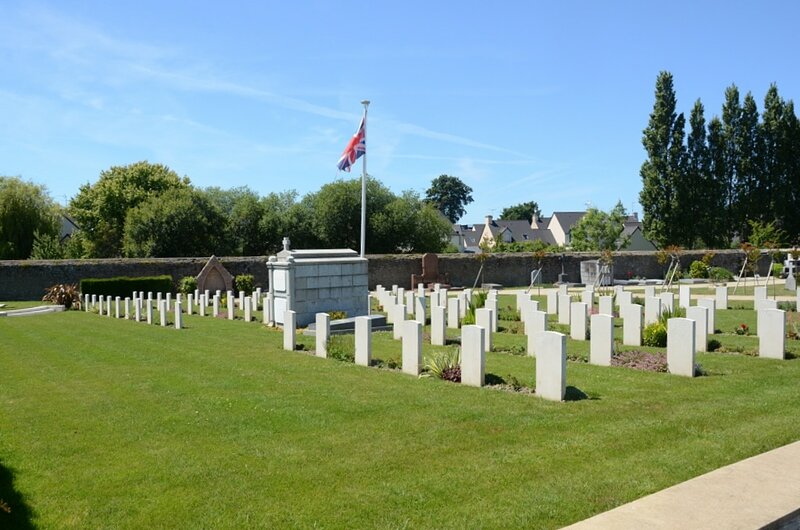 It is a pre-war burial ground reserved by the local authorities for the interment of English residents and is at the western end of the new communal cemetery. 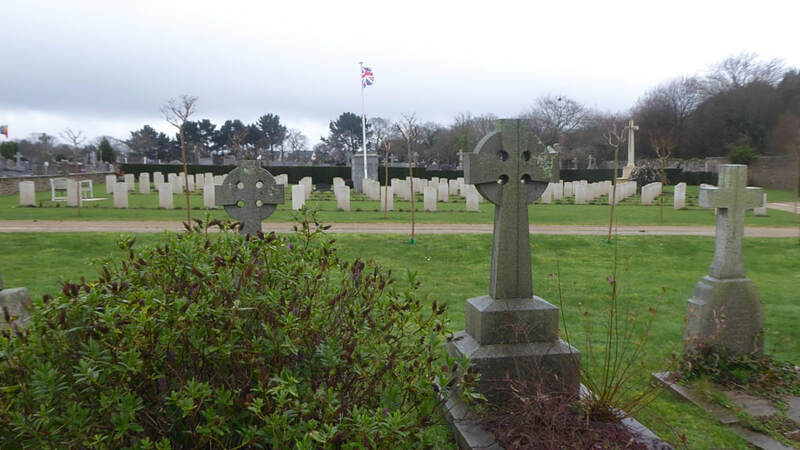 The 1939-1945 War graves occupy what was, except for two civilian graves, a large vacant space in the English cemetery. This space has now been made into a small cemetery within a cemetery, the majority being the graves of casualties from H.M.S. 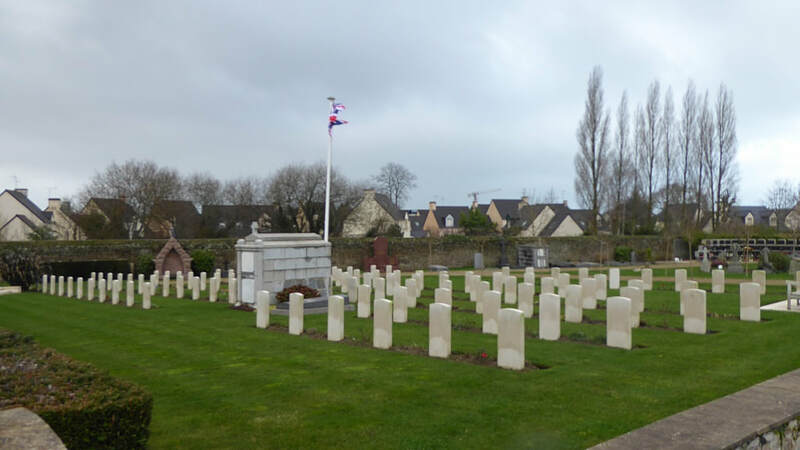 Charybdis, sunk off the Bord de la Rance on 23rd October, 1943. 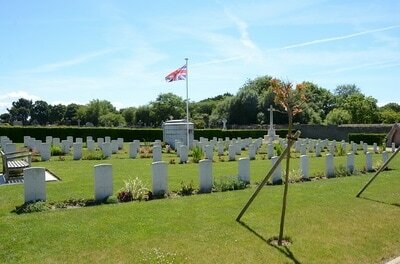 There are 109 Commonwealth burials of the 1939-45 war here, 49 of which are unidentified. 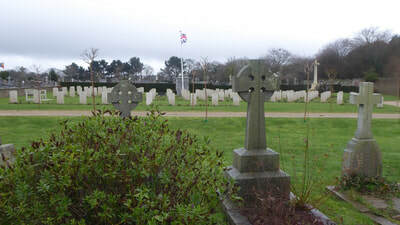 The two civilian graves contain three non world war burials.